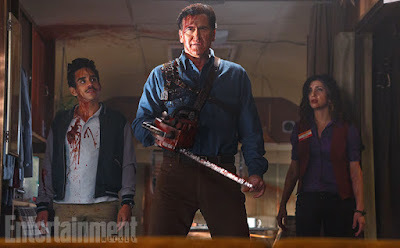 On Halloween 2015, Bruce Campbell made the long awaited return to his the role that made him a household name in the pilot episode of Ash Vs. Evil Dead. 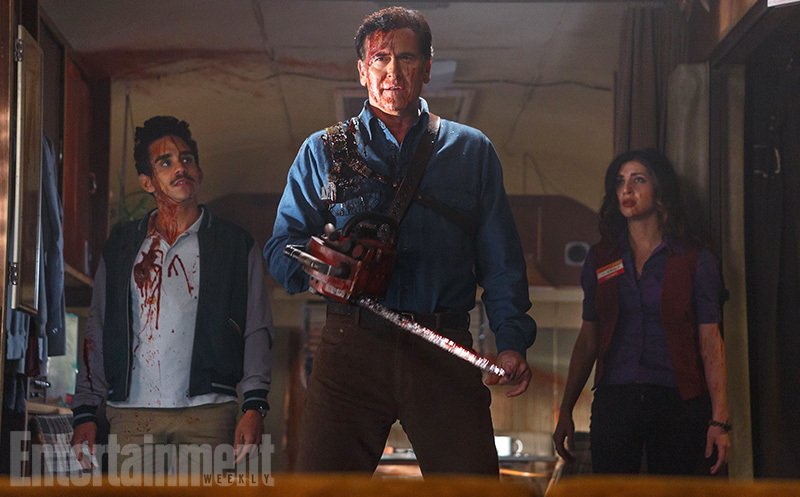 It has been 30 years and after decades of begging fans of the Evil Dead franchise finally got to see Ash is all his groovyness. But maybe you didn't see it, so here is a special treat just for you. If you don’t have cable or aren’t currently subscribed to Starz, the network is pretty proud of their new series, enough for a preemptive season two renewal, they’ve shared the full episode online for free. Directed and written by Sam Raimi, the first entry in the horror comedy series finds an older and not-so-wiser Ash, “living it up” in a trailer park on the outskirts of a small Michigan town. Because he’s such an idiot, he awakens the Deadites once again.